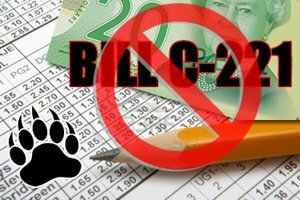 Legislation in Canada towards single game sports betting has seen legislators vote down the private member's bill, C-221. The vote relating to Canada Sports Betting Bill C-221, which was introduced by Brain Masse, a New Democratic MP was carried out this week. The proposed bill was designed to remove a line within the criminal code that currently restricts sports betting provincially other parlay wagers. Unfortunately, this was defeated in a vote of 153-133 for those opposed to the bill. There were several in the Liberal party against the wishes of the party leadership that were in favor of the amended legislation and voted as such. Ironically, those same members, when in the position of opposition, voted against a similar bill in 2012. It was noted that one of the backbenchers in the Liberal party was putting pressure on party leaders to permit an open vote on this bill. Surprisingly, this was approved. However, Bittle, who is an MP for a city close to the U.S border, failed to gather enough support to see this bill pass and be entered into legislation. Prior to the vote, MP Bittle stated that he was feeling confident that he would generate bipartisan support based on the previous bill passing only to fail in the Senate. Sadly, this will likely bring an end to allow single-game sports betting in provinces for a substantial amount of time. While the liberals are currently still only one year into their mandate, Masse had the ability to enter this private members bill as a result of winning a lottery that governs which private bills will be allowed to be considered. The provincial monopolies, in relation to gambling in Canada, has had a long stance against parlay-only betting, and the results being substantially poor has seen most players turning internationally to place wagers on sports with online sports betting bookmakers. This has seen many provinces looking at ways to block offshore companies from marketing their services and accepting wagers from Canadians even though this is not against the Canadian criminal code.